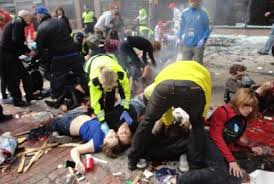 In a thick Russian accent — with his head bowed and body shaking — the man who appeared cold and emotionless throughout his trial for bombing the Boston Marathon two years ago stood in federal court Wednesday and apologized for detonating one of two explosives at the historic race. The words of admission and regret, the first he has uttered publicly, followed the powerful testimony of several dozen victims and relatives of the dead gathered in the courtroom. Earlier in the day, 23 of them — some still angry and suffering, others ready to move on and forgive — told the judge how the April 15, 2013, bombings had forever ripped apart their lives. It was a day of raw emotion in the federal courthouse, beginning with the victims' statements, followed by the startling announcement that Tsarnaev would speak publicly for the first time since the trial began, and ending with U.S. District Judge George A. O'Toole Jr. telling him, “I sentence you to the penalty of death by execution.” Though the federal jury had previously voted to impose the death penalty, O'Toole's sentence made it official. On Wednesday, Tsarnaev's four-minute statement offered the only firsthand insights to date about the young man's state of mind, motives and thoughts about the attack. 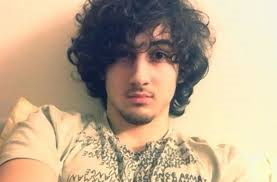 Dressed in a dark sport coat and gray shirt, his black hair and beard disheveled, Tsarnaev appeared to have memorized his comments. “I am a Muslim. My religion is Islam,” he said. “I ask Allah to bestow his mercy on those present here today. I pray for your relief, for your healing, for your well-being, for your strength. Tsarnaev was escorted out of the courtroom by two U.S. marshals. Prosecutors said he would be taken to federal prison, possibly the supermax fortress in the Colorado Rockies, and eventually to federal death row in Terre Haute, Indiana. There, he will become the youngest federal inmate, waiting to surrender his life for murdering three people and injuring more than 260 others in the twin pressure-cooker bombings, and for killing a police officer during the subsequent manhunt.